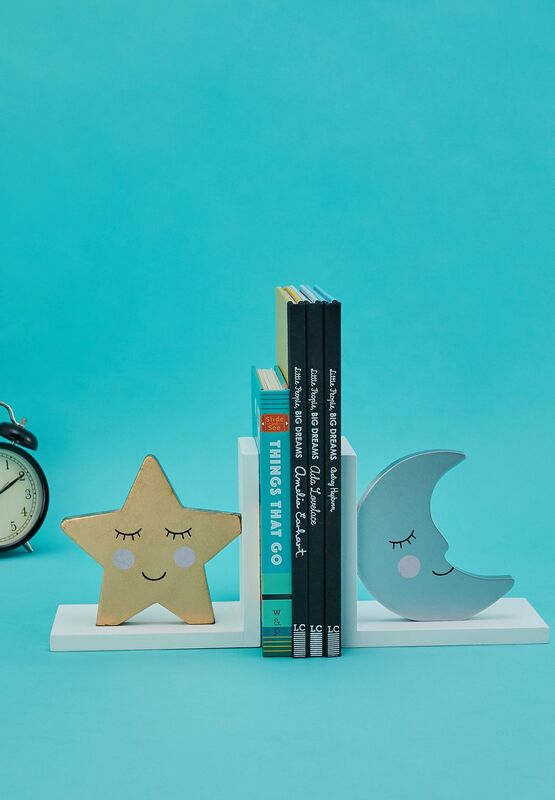 This set of bookends from the Sweet Dreams collection are whimsically charming! 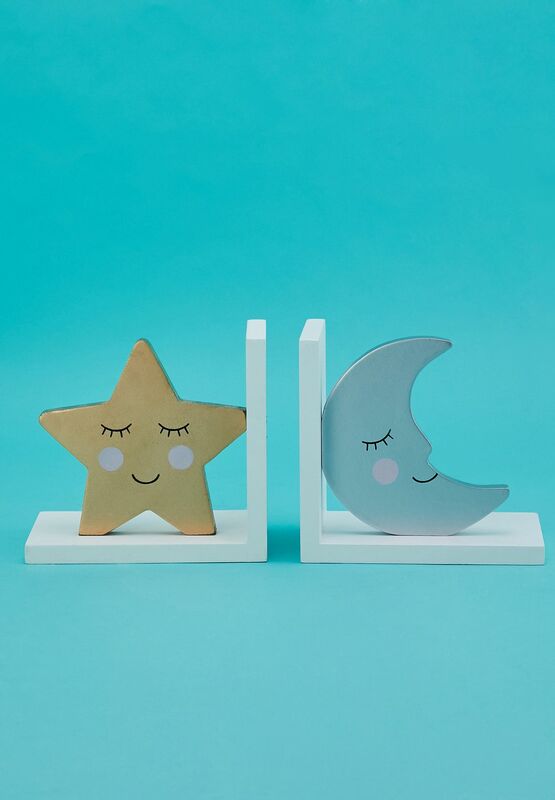 Featuring the star and moon characters from the range, both faces are personified with happy smiles and rosy cheeks. The metallic colorway adds a stylish and chic aesthetic. Made from wood, they're a wonderful way to store and showcase your favorite books.